Year 3 had a fabulous day for their Marvellous Middle. They came to school dressed as Native Americans and started the day with a parade. 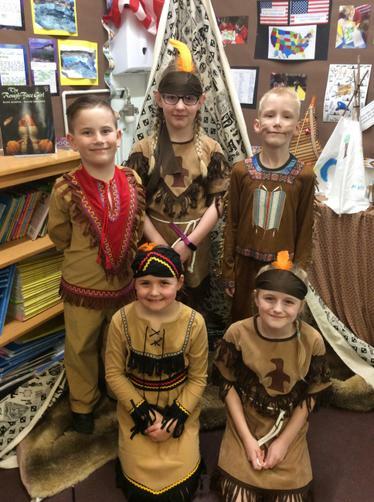 They learnt a Native American dance and had a Native American feast. Thanks to parents for the effort and support with the children's costumes - they looked great!